There are several reasons why a homeowner or businesses air conditioner may be in need of repair. Sometimes you may hear a numerous amount of noises coming from your air conditioner when your unit has been turned on. For example, if you hear that your air conditioner is making loud clanking sounds it could be because of a loose part that would need to be tightened or may have come off. And perhaps the pipes could be rubbing together; also, the blower motor fan may have need of attention. Clanking sounds, (other than the normal humming sound that you may hear when running your unit), can be a bit more serious. This is only because if loose parts are not addressed at the onset they can cause serious damage to your system. And you may have to replace it much sooner than necessary if the problem is not addressed immediately. If this is the case, in order to prevent further damage to your unit, it is best to turn it off immediately. 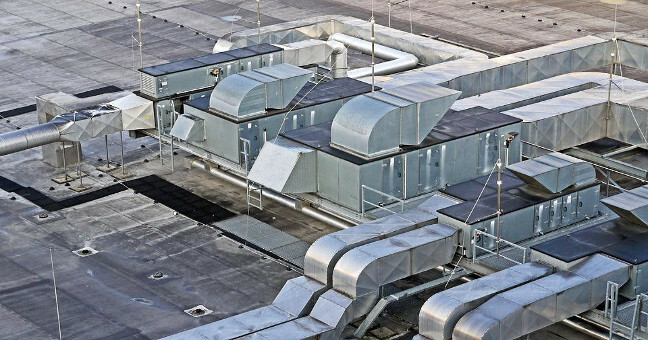 There may also be other sounds that you may predominantly hear while running your air conditioner and it may cause you to seek the help of one of the Houston AC contractors. For instance, your air conditioner can also make a hissing sound. When hissing noises occur with your unit, this is a strong indication that air is somehow escaping from your system. Pay close attention to this noise and make an attempt to determine where it may be coming from. For example, if the hissing noise is coming from your wall, there is a good chance that your air ducts may be leaking. And if this turns out to be the case, there is no question that this is a job for the professionals. Most homeowners will not have this kind of knowledge and this is not a job for the DIY handyman. This type of sound can also come about if the filter is not set right or if you as the customer, at some point in time may have purchased the wrong size filter for the air conditioner and now there is a gap in the seal. When this is the case, instead of the air being sucked through the filter, it is squeezed past the filter, thus, making a hissing sound. This is especially true if the hissing is considered to be light instead of a heavier hissing noise. A light or heavy rattling sound is a strong indication that there may be some sort of debris or even a small twig from a tree may have become lodged in your system. After you shut the power off for the unit, remove the debris and check for visible damage to your unit’s condenser coils, fan and compressor. If there is apparent damage then you will need to call for repair service. it is best to not try and troubleshoot the problems on your own. You may be able to determine something on the surface of the problem, however, unbeknown to you there may be extensive trouble with your unit that is causing underlying trouble with your air conditioner that you may not have been able to determine. Most A/C repair technicians represent leading manufacturers of air conditioning units. This enables them to be able to service a wide variety of air conditioners regardless of the brand the consumer may have purchased. When you call to have one of the experts come to troubleshoot your unit, they may discover that you need a replacement filter, or perhaps your evaporator coil needs to be replaced. So if any of the problems sound familiar, then you need to call for a reputable repairman in Houston.